Know Thy Self - Know Thy Heart. Are You Taking Responsibility for Your Spiritual Life and Journey? This is the key fundamental principle to giving and receiving love without reservation or limitation for a lifetime. When we know who we truly are and what we are about, we are then able to stand in ever expanding self empowerment and wisdom, whole heartily and in genuine love that will stand the test of all time. Entering into marriage is a huge life altering event, you are placing everything that you are or ever will be into each others hands and hearts with the intention of building a new life together. The truth is, building a loving, healthy, supportive and lasting life together doesn't just happen...it is consciously and intentionally created. All "successful marriages" arise from each individual consciously taking full responsibility for themselves and owing their own stuff first. Mastering the Self must come from a place of true authenticity (from an unimpeded heart space) not (a limiting ego self, old baggage, etc. ), which enables the individual and the couple to fully engage, grow, learn and expand within the love they share without limitation. The love you share with each other is in fact a living energy, a God Seed Connection if you will, which emanates from your Soul. The ability to give and receive love is a precious gift from God, How you care for nurture and enrich this precious gift is in accordance with your Free Will and Conscious Creation. Self Understanding, Self Mastery and Self Responsibility are essential keys to your personal and relationship success and wellbeing. You might very well liken it to a child you have created together. It is comprised of many intricate facets of who you are as individuals, thereby creating who you are as a couple. And like a child, it requires constant care and a lifetime of devotion. So then, it's reasonable and wise to give wakeful consciousness and consideration as to how you will both wakefully proceed, care for and nurture this most precious gift, "your relationship" into full maturity...would it not? 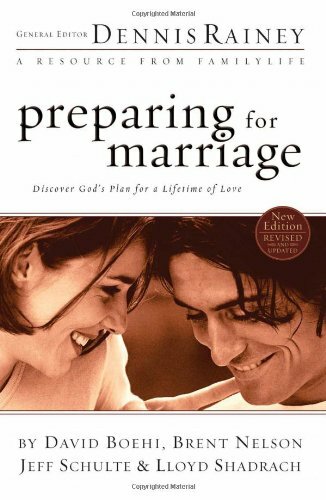 Marriage is the most amazing and rewarding journey you will ever embark on, it can also be equally challenging when spiritually unprepared. You are promising each other that you will "really be there, fully and wholly". That you will apply yourself to the relationship as husband and wife, with "All That You Are and in Divine Right Order. many couples have an unrealistic and superficial understanding of love and marriage and little, if any, understanding in the ways of Spiritual Self Mastery or knowledge of basic relationship skills. Few understand or are even aware of the profound Spiritual aspects of themselves, let alone each others Spiritual roles within marriage. The good news is, there are steps you can take to ensure that you are doing and being the very best you can to make your marriage a successful one. It begins by taking full responsibility for your personal relationship with your Creator and Christ Consciousness. We are so blessed we found Reverend Allie! She was a dream come true and helped make the whole wedding process very calming and easy. We had the opportunity to do premarital counseling with her and it was truly amazing, we highly recommend it! Reverend Allie understood the importance of allowing my children who are now Marshall's children to be a part of the ceremony. She helped Marshall find the perfect place in the ceremony to vow his love to Brooke and Trey and they were truly touched by this. Thank you Reverend Allie for everything you helped us with and we will never forget it!!! For Singles: Been Looking for Love in All the Wrong Places? Learn to Live & Love Authentically. Preparing for a Lifetime Relationship Classes. Fear or Limitation getting in the Way. Start Living It Like You Mean It! What would your life look and feel like if you could give and receive love without fear? What if you could move forward into the life you really want without emotionally toxic baggage and self sabotage? 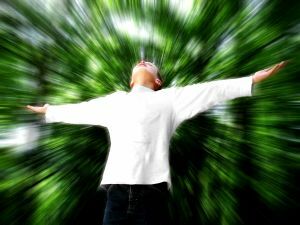 What if you could trust yourself to Be and Do what is in perfect alignment with your highest good according to who you truly are at a the Deepest Spiritual Core Level? Don't wait any longer to find out...enroll now! Take the necessary Self Empowering Steps to find out and start living the life you were always meant to have! There is no better investment to make then the investment you make in yourself. It's fun, sometimes challenging, always empowering and very enlightening. The 8 Group Sessions: the cost is $800.00 to be paid at the time of online enrollment. Enrollment cost may be divided into two equal payments. Next Start Date: To be announced - duration 8 weeks. Private Sessions are available on request. Order the book, Spiritual Partnership. 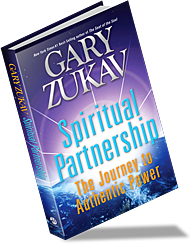 In Spiritual Partnership, bestselling author Gary Zukav reveals a profound new relationship dynamic that enables us to reach our full potential and create authentic power and a joyful life. Spiritual partnerships are not only for couples in marriage; they can be created anytime two or more individuals decide to engage as equals for the purpose of spiritual development. In this extraordinary book, Gary Zukav shares a revolutionary new approach to life, relationship, and evolution. Filled with poignant examples and including specific guidelines, Spiritual Partnership empowers and enables you to explore your emotions, your intentions, your choices, and your intuition and to use them to create profound spiritual growth. It can help you deepen your joy. What Is Your Inner Compass? It's Not Something You Do...It's Who You Are! 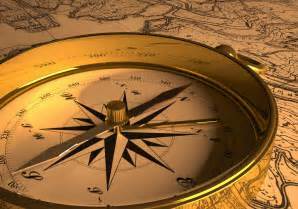 The journey of finding our inner compass is an inward one. Most go through life without a Real sense of purpose or knowing what defines who they are or understanding what makes them tick. The larger part of the Spiritual Journey of Self Discovery is something that goes on inside of us, and typically, it is the last place most will even think to look. Today's cultural misdirection constantly encourages people to seek outwardly in a commercialized materialistic zombie like fashion to satisfy the nagging emptiness we experience when we are in disconnect with our inner compass. Of course, this will not bring you the wholeness, joy or life experience you are seeking. It is important to know that all outward aspects are merely material embellishments, nothing more. All of the true answers you seek are instead held deeply within yourself. One must learn the skills and master the tools of Self discovery in order to awaken to their true Inner Compass. For most, years will pass, sadly, even entire life times without realizing what they are about, or discovering the aspects of themselves which connects them to what they absolutely love and live for. We must be courageous in discovering and stepping into what brings us to our truest sense of joy, ease, and brings lightness into our lives. Decide to be brave enough to recognize when you are fully present in our life. to be paid at the time of online enrollment.